At the heart of RKB Law is our commitment to justice, we are experienced lawyers in Maidstone, Kent. We work hard for our clients to champion your individual rights and freedoms. We are a niche legal firm of solicitors or Lawyers in Maidstone, Kent with in-depth expertise in a range of specialist legal areas. At the core of everything that we do, our focus is on the promotion and protection of human rights and fighting inequality, injustice, and discrimination for our clients. We feel this is our responsibility as both legal professionals and members of society. Our team of Lawyers in Maidstone is headed by Social Welfare and Public Law director Ravinder Brar. Ravinder is well versed in dealing with cases in the Court of Protection on matters under the Mental Capacity Act 2005 . She regularly represents vulnerable clients as well as family members, and advises clients on challenges under the Human Rights Act 1998 and Equality Act 2010. Ravinder was recommended by Legal 500 for her Court of Protection work. At RKB Law, we believe that our experience, passion and drive to fighting inequality and injustice sets us apart from our competitors, and we will work with you to support and guide you through your case. 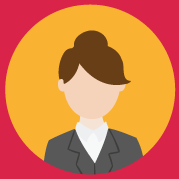 Deborah has been a Paralegal at RKB Law Solicitors since May 2017. She manages a supervised caseload of Community Care, Mental Capacity and Immigration Matters. Claire joined the RKB Law team as a community care case worker in February 2019 and specialises in Court of Protection work. 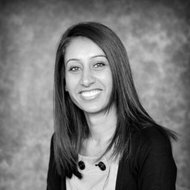 Gursharn is a Paralegal within the RKB Law team and assists in Community Care and Court of Protection cases concerning vulnerable individuals.